Its our pleasure to announce that long time budo buddy Catherine Schnell Sensei will be visiting our dojo on December 3rd. Sensei is a full time senior instructor in Aikido Yuishinkai, is a martial arts hall of fame inductee and former instructor of the year. 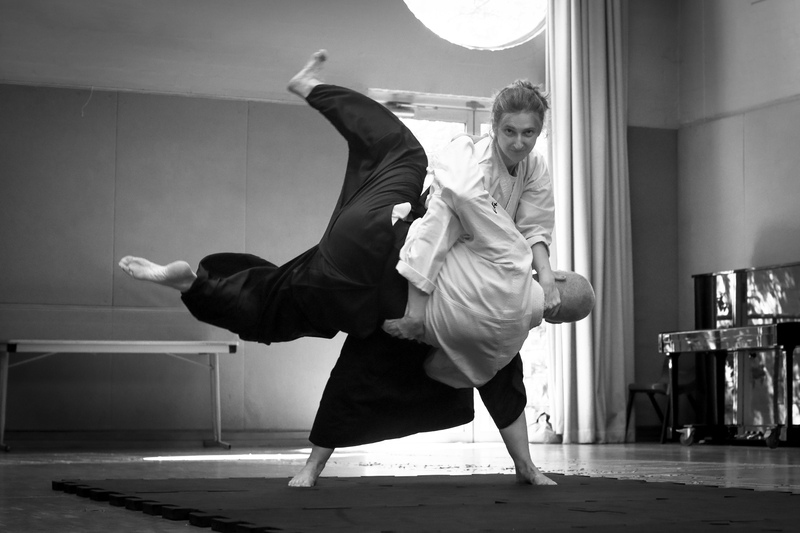 She has practiced aikido extensively including in Australia, Japan and overseas. She has a diverse experience including the Yoshinkan and the Kenkyukai schools. Sensei has developed an award wining Personal protection programme and is a full time Aikido, self defence and boxing instructor. She has visited Brisbane several times for seminars and to guest teach, including teaching the delivery of her personal protection method, with the support of a national crime prevention grant from the Australian Institute of Criminology(See A Self Defence Primer). We have had the good fortune to practice at her dojo in melbourne several times as well. Sensei has kindly agreed to teach a little of her Personal protection method, its something no martial artist should miss as a reality check together with strategies for early warning signs, verbal assertiveness as well as physical techniques. Her no nonsense approach draws on over 20 years experience in delivering personal protection, with many success stories and insights. As a dojo many enquiries are based on concerns about self defence, sensei’s tools allow us to deal with the inner ‘fantasy’ as well as to equip ourselves prior to a ‘deer in the headlights moment’ as well as opportunity to consider what is and isn’t an acceptable response at a personal level. I would strongly recommend any Aikidoka from the community or dojo family member attend the personal protection workshop, esp. if you haven’t had any such training before. All aikidoka are welcome at both sessions (Spaces are limited for the second class). Normal fees apply for attending each class (wether participating in the physical practice or not). Please bring slip on shoes/sandals/zogi to keep out mats clean! Mat space will be limited so please let us know if you would like to come via the following doodle pool, so we can arrange for extra mats if needed. 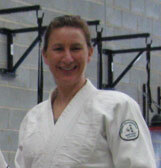 Catherine Sensei’s workshops are not to be missed. Having attended one earlier this millennium, I was impressed by the absence of sensationalism and Sensei’s thoughtful treatment of the complicated ethics and practicalities of self-defence.